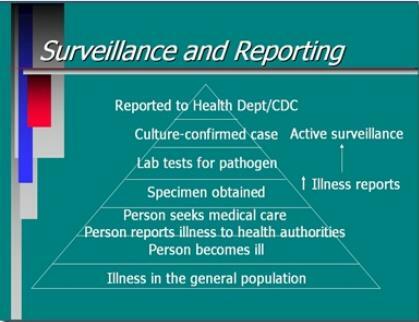 One of the truisms of infectious disease reporting is that surveillance - even in technologically advanced societies - generally only reveals a fraction of the overall burden of any infectious disease. It's a phenomenon we've seen in H7N9 in China, where early estimates (see Lancet: Clinical Severity Of Human H7N9 Infection) have run from 12 to 200 times the official number of cases. In Saudi Arabia, which has reported just over 1300 MERS infections, while a seroprevalence study published last year (see Presence of Middle East respiratory syndrome coronavirus antibodies in Saudi Arabia: a nationwide, cross-sectional, serological study by Drosten & Memish et al.,) suggested nearly 45,000 might have been infected. And in 2012, during a time span when just 13 H3N2v infections were reported to the CDC, a CID Journal: Estimates Of Human Infection From H3N2v (Jul 2011-Apr 2012) study estimated that 2055 (90% range, 1187–3800) illnesses from H3N2v virus infections may have occurred in the United States. And these shortfalls are in countries with modern medical infrastructures that were actively looking for evidence of cases. For much of the world, and for many emerging diseases, no one is looking. Last October, in WHO Scales Up Influenza Surveillance In Africa, we looked at the many challenges of recognizing and reporting human novel flu infections in nations where basic medical services are lacking, and where the burden of other viral diseases is very high. 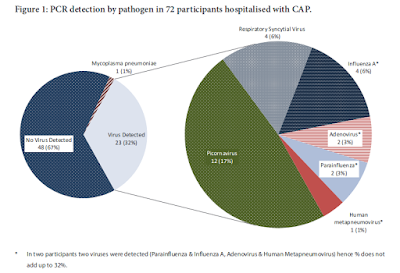 Just as we know avian H5N1 circulates in African poultry and wild birds, we know that MERS-CoV infects camels in Africa (see Eurosurveillance: MERS-CoV In Nigerian Camels), yet we've no reports of human MERS infection in Africa. MERS, like avian flu, generally starts out with a fever and a `flu-like illness’, and may be mild, moderate, or severe. Unfortunately, without laboratory testing there is really no way to differentiate MERS or avian flu from severe seasonal flu or of other – far more common – respiratory infections. One solution is to conduct a seroprevalence study, looking for antibodies to a specific virus in a community's archived blood samples, as was done last year in Saudi MERS Seroprevalence Study mentioned above. Professor Drosten is back this week with a new study and a new team of collaborators, analyzing archived blood samples collected from 1,122 livestock handlers in Kenya during 2013-2014. I've only reproduced some excerpts, so follow the link to read the dispatch in its entirety. Dromedaries in Africa and elsewhere carry the Middle East respiratory syndrome coronavirus (MERS-CoV). To search for evidence of autochthonous MERS-CoV infection in humans, we tested archived serum from livestock handlers in Kenya for MERS-CoV antibodies. Serologic evidence of infection was confirmed for 2 persons sampled in 2013 and 2014. The absence of autochthonous human MERS-CoV infections in Africa has triggered hypotheses regarding differences in disease transmission between Africa and the Arabian Peninsula and has raised doubts regarding the role of camels as a source of infection. Our study provides evidence for unrecorded human MERS-CoV infections in Kenya. The proportion of seropositive specimens that we found is comparable to previously reported proportions of unrecorded infections in the general population in Saudia Arabia (1.52% vs. 1.43% positivity by rELISA and 0.15% vs. 0.18% positivity by PRNT for Kenya vs. Saudi Arabia, respectively) (6). Because of an apparently low infection rate and a bias toward reporting severe cases, the discovery of unreported MERS cases requires testing of large sample sizes with well-validated serologic methods (6). Although the number of samples we tested was approximately only one tenth of the number of samples tested during the Saudi Arabia study, the proportion of seropositive specimens may be similar in Kenya and Saudi Arabia. The lack of a well-developed public health system in parts of Africa could lead to underdiagnosis of clinical cases and would therefore prevent case notification. Moreover, less accessible hospital care might preclude large nosocomial outbreaks as have been observed in countries on the Arabian Peninsula and in South Korea. Other possible explanations for the absence of confirmed and reported clinical cases of MERS-CoV infection in Africa include lesser virulence of strains from Africa and cultural differences that might cause persons of different age ranges to be exposed to the virus. On the basis of the ability of MERS-CoV to infect a wide range of hosts in cell culture experiments (15), it remains to be excluded that other wild and livestock animals might act as additional sources of human MERS-CoV infection. It is paramount to characterize MERS-CoVs from humans, camels, or tentative other animal hosts in Africa. For increased understanding of any possible differences in pathogenicity and transmission potential, these MERS-CoV strains should be compared with isolates from the Middle East.